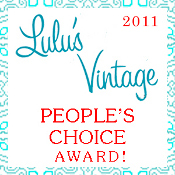 A hot issue in the vintage world this week is Livia Firth and her notable “Green Carpet Challenge”. Livia Firth is married to Colin Firth and is using her current exposure at awards events to highlight the environmental issues of the modern fashion business. The criteria is complex – her gowns must embrace “labour rights, repurposing, up-cycling, low waste, low carbon, low impact (all the ‘lows’), sustainable fibres, alternative fibres and some organic fibres” — without sticking out like “a sustainable sore thumb.” All whilst looking beautiful and appropriate to the grand events she’s attending. There’s an easy answer to this dilemma – Go Vintage! What could be more glamourous and green than a beautiful vintage couture gown!? The Oscars have a great tradition of this already – from Julia Roberts turning up in vintage Valentino in 2001 to the latest ceremony where Marisa Tomei wore ’50s couture by Charles James and Anne Hathaway wore vintage Valentino too. For her Oscars gown, Livia collaborated with designer Gary Harvey and chose the 1930s because it’s the era of “The King’s Speech”. Wonderful and appropriate choice – Harvey scoured the vintage clothing shops of London, buying many beautiful gowns (I’m thinking wedding gowns judging by the photos), in fact buying eleven gowns. One of the shops, 360 Degrees Vintage reported that he bought “her best dresses”. But that’s where it all went awfully wrong. Here’s a pic of the gowns, as Livia and Gary consider their potential. Don’t they look beautiful? Photo courtesy Livia’s blog on Vogue.com. Livia didn’t wear any of these gowns though – instead, her designer chopped them all up and turned them into a patchwork of fabrics, a Frankenstein dress. She was laced into a very un-1930s double corset with a train. As a fashion historian, I’m appalled at the lack of appreciation for what these dresses were – any bride seeking a vintage gown in good condition knows that ’30s silk gowns are prized and rare. This is the same kind of thinking that brought the destruction of Victorian buildings during the ’50s and Art Deco ones in the ’70s – that old simply means unwanted and redundant, ripe for plundering. As a seamstress, I’m embarrassed to see how poorly made is the dress these gowns were sacrificed for. The seams bulge and do not sit flat, from the one close up photo I can find, the seams haven’t even been lined up. What a missed opportunity to highlight how wonderful vintage couture can be when worn on the red carpet! Instead, we have forever lost eleven beautiful and wearable gowns that eleven women could have enjoyed and passed down to their daughters, or museums displayed or that one very privileged woman could wear to many occasions. Lucky Livia to have been in this fortunate position! From the best of intentions, Livia and her designer show how they feel about historical dress – this sad incident has highlighted for me why we have an uphill battle to get fashion appreciated as a valuable cultural artifact. As a vintage professional, I do my best to protect and preserve the garments that come to me: they say so much about how our fore-parents lived and the world around them. Increasingly, museums are adding them to their collections and exhibitions of couture sell out. Like most vintage professionals, I have damaged dresses that are suitable for “upcycling” and recycling, gowns that can not be restored or worn as they are but have potential for other things. Upon request, I make them available for designers and students seeking inspiration or raw materials. If only Livia and Harvey used damaged dresses instead of the beauties they chose – or made from vintage fabric and materials. If the Livias of the world continue to treat vintage as just raw materials to be used as they wish, we will all be the poorer. 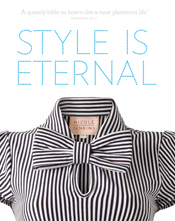 Previous Vintage 101: Looking for clues in fashion labels. Niki, you need to form a Vintage Cruelty Brigade. And to make such an ugly dress!! I’m gobsmacked. Destroying true beauty for that chop shop piece? I wonder how horrible the people feel who sold the dressed! I know I’d feel sick… selling something that I thought was going to be appreciated for it’s beauty and instead it was ‘sold for parts’. And her dress isn’t even that attractive!! *cries*, oh the loss of those beautiful, rare, creations :< Shame, Livia, SHAME! On a totally nitpicky note.. is it just me or does that dress look like the seams haven't been pressed properly??? the hem in particular, is just awful! Great article, some friends and I have been a little vocal aboutthis too. The shop in question seems to have been very proud to provide the 11 dresses for slaughter – sad really. This is really heartbreaking. Bastardising 11 beautifully unique vintage gowns is devastating..such a shame they were all wasted for what I fear will be for a gown which will never be worn again (nor appreciated by another)! What a horror! I hate to see anything of beauty and worth desecrated. How thoughtless of them. Very upsetting. Oh my gosh. How awful! As others have noted the dress is badly made – those seams at the bottom are appalling! Its fine to ‘upcycle’ old stuff from opp shops that is not able to be worn otherwise (irreparably torn etc), but 30s vintage – really shocking. I can’t even look at it. Before I knew the story behind the dress, my first thought was that the dress was badly made and that the straps and bodice looked very sloppily put together. The full story is horrific and cringeworthy. This is absolute sacriledge it makes me sick to think that eleven stunning gowns were turned into this one ugly dress!! I totally agree with you Nicole. Butchery. I hate to see wearable dresses cut up. They could have made the dress with new fabric. What an awful design, badly made anyway. Reminds me of those tacky leather patchwork handbags you see at markets. One of the things that I find so reprehensible is the downplaying of the condition of these gowns. Originally they were a reputable dealers “best” 1930s – now she’s talking about a few holes and stains, as if that renders all the gowns unsalveabable and only suitable for the rag bin unless they were turned into this one gown. I know the dealer is in a difficult position, but seriously? A top end London dealer counted irredemably damaged gowns among her “best”? I don’t think so. And the Livia fans, painting the vintage community as over reacting because they raise questions about the source materials used for this statement. Surely that’s the message here – ask QUESTIONS about where your consumables come from. And 1930s gowns in decent condition – even if there’s some holes in the illusion netting and the odd stain – are NOT sustainable if you’re going to demolish 11 to make ONE gown. There are a few negative comments on the Vogue blog post as of right now, but who knows how long they will allow them. I wonder how the big bad fashion world would react if someone chopped up 11 John Galliano frocks~~of course, shock! Outrage! Because of his dismissal his work will be even more valuable….despite the very good chance he will go on to design. The 1930s dresses (and their designers) are gone for good. They’ll just never get it. This is a spoof site right? If not I feel very sorry for you foolish people. If you are all so keen on saving old dresses, then why don;t you jolly well go and buy them. They were in the shop, no doubt for a long time, so if people are so keen on ‘saving’ them, you could easily have purchased them. You just make yourselves look silly. before we all start feeding the trolls.. here’s a few points Lizzie..
We dont’ all live in cities where these dresses are obtainable.. Me?? I live in outback Australia.. 3 hours from a set of traffic lights, let alone a dress store. I DO buy vintage dresses whenever I can find them and afford them… the dresses in this article were easily well over 2-300 dollars EACH.. how many of those can YOU afford to buy for ONE occasion?? You will find that many of the commenters here are in the same boat, if and when we can, we do. You have the right to express your opinion, but I bet you are going to be torn to shreds for it… wrong site for words like that. Yes shame!!! Those poor dresses. I agree, there is nothing green or creative about the dress. 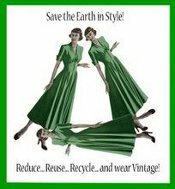 Simply wearing a vintage dress would be the most greenest option of all, less time and energy spent. OK I am going to be torn to shreds, but other ladies posting on here are allowed to suggest that posts will be taken off the vogue blog without being reprimanded. I am not connected in any way with either vogue or Mrs Firth (or Mr Harvey). I am not anti saving old clothes when it is feasable. I have visited the costume museum in bath and found it very interesting. I also have a number of books of fashions through the ages. So you see I do like these things. It is just that people seem to have got quite hysterical about this issue without knowing the full details. Some people just like to jump on bandwagons, and that really makes me cross. 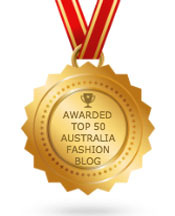 Hi Lizzie, welcome to my blog, and thank you for your comments. I can assure you this is not a spoof site – I’m quite serious about these issues, and as you can see, I’m not the only one. I like your idea of buying up all these dresses and for thirty years I’ve done my best, spending more money that is sensible on beautiful old clothes. I feel a personal responsibility to all the unloved vintage in the world but you see, there’s a lot of it and not all of it is in a convenient location – indeed these particular dresses were on the other side of the world so it was unlikely I’d get to save them. Your attitude reminds of the people who demolished old buildings in the past – and it wasn’t any more feasible to buy all of those either, but I’m sure people tried! All I can hope for is that as attitudes change, more and more people will see fashion as culturally important and worthy of preservation. This issue has shown how far we need to go, and how much more people need to learn about what constitutes “green” fashion. I think I just threw up a little in my mouth… as soon as I saw what happened to those beautiful dresses I had to stop reading the article. Oh my goodness! Everything you said. How I would have looked forward to seeing one of the original gowns worn on the red carpet. I weeped. OMG!That makes me want to cry,i actually feel sick:(What an ignorant,shameful thing to do.All those beautiful gowns destroyed & wasted on that hideous garment. She doesn’t know jack about recycling & helping the enviroment if that’s her pathetic contribution! Wow i am so angry ,some ppl don’t deserve to have money if that’s what they are going to use it for!! Oh I can’t bear the thought of ONE gown being destroyed so senselessly let alone ELEVEN. All that history literally shredded. How could any designer (who surely would have had to study some history of design as part of their training) not appreciate the level of destruction here? I like the idea of taking something unloved/unused and making it into something else. My research on this topic indicates that many of the dresses were damaged. If they were wedding dresses, I’ll bet that they were *quite* tiny. Brides used to me much younger/smaller than they are today. Ever noticed why bridal dress sizing has nothing to do with regular dress sizing? – at least that is my experience in Canada. There is excellent vintage, which is worth preserving, and not-so-excellent vintage. Sometimes the not-so-excellent needs to be reimagined. 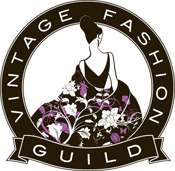 Surely you all have come across ‘vintage’ dresses that you would never purchase due to quality, condition, size or cut. Should they go to a museum? There’s only *so much* room in those. Should they be left in a back closet? What about the trash? I do think that she looked lovely on the red carpet. I really hope that she has pictures of the dresses she used. I think that would be very interesting to see. 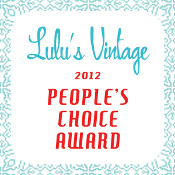 – The vintage clothing shop owner said they were her “very best dresses” (I left out the word “very” in my post above). 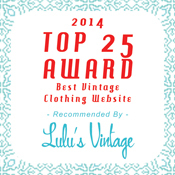 I’d like to remind you that this is a reputable shop and my experience as a vintage clothing shop owner is that dresses have to be in good condition in the shop or they will become very damaged. Whilst gowns from the ’30s are often a small size, there are plenty of small women who can fit into them. If they were too small for anyone, my feeling is the shop would not have bought them and displayed them in her shop. Many of us have damaged gowns suitable for recycling, but we do not put them on hangers in the shop. – They look perfect and wonderful in the photos. – No where was there mention of the gowns being majorly damaged or unwearable. – The seller said a few had small stains and one had a rip (not unusual for 80 year old pre-worn clothing). – The designer said they were in unwearable condition, some fit for landfill. – Livia has said they were too tiny to be worn and in very bad condition, unfit to be worn. As the more exposure is given to this story – the shabbier the poor gowns have become. It now looks like 360 Degrees stocks the very worst of vintage “rotting on their hangers” fit only to be thrown away or recycled. All of this could have been avoided if the designer bought only damaged gowns and took photos of them before they were recycled. Unfortunately due to the changing stories and likelihood of reality, we’re unlikely to know. Yes ,this is what i based my reaction on, the fact that they were her ‘best stock’.Now it seems they wern’t her best stock but only rags not fit to be worn.Talk about back peddling to save face.What a crock! In response to Lizzie-like Nicole & many other ladies on here i’m sure,i buy vintage whenever i can afford to .I rarely buy anything new except for underwear & socks.My cupboard is filled with vintage dresses,bags,shoes ,coats ,jewellery, scarves etc .If i had plenty of money i would probably save many more but i do what i can .If i lived anywhere near those dresses & had known of their pending fete i would have tried to do something to save them. I regularly go to vintage markets and fairs, including some of those where Nicole does her presentations. Good vintage dresses are usually around $300 to $400 which is beyond my budget. Those from the ’30’s are quite rare which is why people are upset that so many good specimens were wasted on this dress. And I see many women and girls who are tiny enough to wear vintage and they do. The thing is that the designer has made no attempt to preserve the integrity of the originals in incorporating ’30’s style and design principles. It’s just a nondescript 90’s style and not even as good as most of those that you will see by final year college design students. If you look at the earliest designs by Collette Dinnigan they were works of art because she understood and respected the integrity of her vintage laces and silks and used them to wonderful effect. Livia’s dress make me think of the way the Singapore Government demolished and rebuilt the Raffles Hotel leaving just part of the facade, and the same with much of the most interesting historical precinct, in the misguided belief that people want things new and sanitised. Some people don’t understand why authenticity is important to people. Thanks for your comments everyone – I did think that the key element was the condition of the dresses, but it’s clear that we won’t know the truth as the designer and wearer have chosen to back-pedal in an attempt to save face and justify their choice by saying the dresses were unwearable and unrepairable, when this is unlikely to be true according to the evidence. In my opinion, a second issue has arisen: that both situations may be true. That what constitutes “wearable” is subject to personal opinion and if you are the sort of person who does not wear second-hand, the mere fact of a dress being pre-worn may render it “unwearable” in your eyes. Just as if you are a certain size, you may consider dresses smaller than you to be “tiny” whereupon a smaller woman may consider them to be a perfect fit. I’m still very unhappy about the fate of these individual gowns, lost to us all – but it does highlight how some people can misunderstand concepts of “green” fashion and how willing they will be to justify their decisions with inaccurate and unlikely statements about vintage. What a very very UNattractive dress. She should be ashamed of herself for massacring such beautiful creations. Not a very smart lady in the respects of fashion…banging on about recycling,etc. Oh God, I feel sick! Yes…I noticed that as it emerged that the Vintage community wasn’t overly impressed, the condition of the gowns was downplayed. I wonder how many vintage dealers, collectors and owners would like to know that their gowns, if not being worn (even if not being hacked up) are “rotting on hangers”? And given that I thought part of the message they were trying to convey was sustainability and questioning consuming fashion from an ethical point of view, why are those associated with this design so shocked and disparaging towards the vintage community when they had what is apparently the temerity to question the source and sustainability of this usage? Not impressed, and less so the more it has gone on. I just hope that this example of demolishing swathes of vintage gown to provide new frocks for the elite doesn’t become widely followed – there aren’t enough 1930s gowns to SUSTAIN that practice. I love Colin Firth as an actor but this is horrendous. Possibly Livia has learned something from all of this and will become a spokesperson on saving these treasures of the past. How utterly awful … and even worse that it was done with such ignorant good-intention.